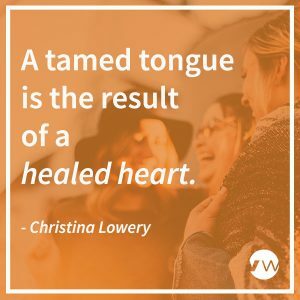 Christina Lowery shares a powerful message about taming the tongue. Christina shares about the power of our words and what we speak out. A tamed tongue is a result of a healed heart. Just Sayin’ – Part 1, The Power of the Tongue from Crossroads Vineyard on Vimeo. Christina Lowery and her husband Joel are Co-Lead Pastors of Crossroads Vineyard, a life-giving church they planted in Fredericksburg, VA in 2008. Joel and Christina parachuted into the Vineyard in 2001, when they felt strongly that they had found their long-lost tribe at the TylerVineyard in Tyler, TX. It was there that they gained a heart for church planting and were sent back to their hometown to launch Crossroads. 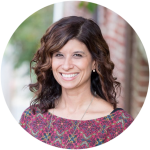 Christina is a gifted teacher who loves to make biblical truths applicable to everyday life and finds full joy in sharing with others all that God is teaching her personally. She is especially passionate about empowering women to discover their remarkable, God-given design and then unleashing them to do all that God has called them to do! Christina loves to travel and is always daydreaming of where she may end up next. Her favorite destination so far is Maui, Hawaii and can’t get enough of its warm sun and beautiful island beaches. Joel and Christina have been married for 18 years and have 3 amazing kids – Hannah (13), Caleb(11) and Zoe (4).